The all-inclusive luxury resort, called Excellence Oyster Bay, will open during the first half of 2018. The adults-only resort will include 800 square feet junior suites and 2,000 square feet sprawling upper suites featuring expansive living spaces, panoramic ocean views, and direct beach access. It will be located 30 minutes from the Sangster International Airport. "Excellence Oyster Bay will be the first resort of the Excellence Group in Jamaica, and will set a new standard in the all-inclusive luxury segment, with its location, facilities and the renowned quality service that guests have come to expect from any Excellence Resort," said Excellence Group's Vice President of Sales and Marketing, Domingo Aznar. Excellence Group Luxury Hotels is a family-owned and operated resort group specializing in hotel management and worldwide real estate development, with a primary presence in the Caribbean. 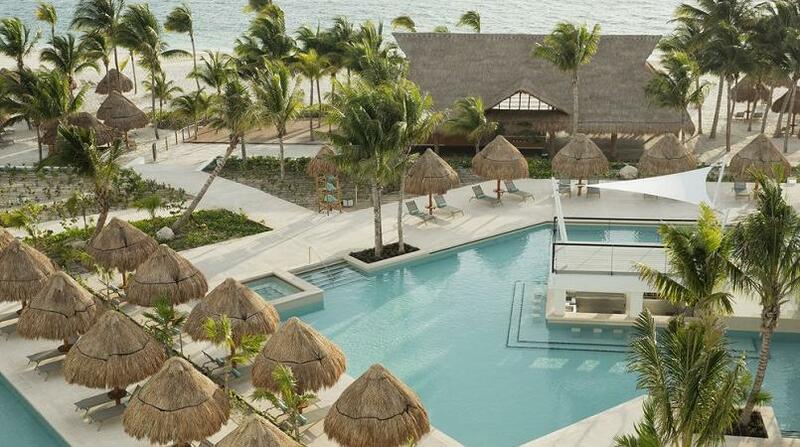 It has resort properties in the Dominican Republic and Mexico. Featured image: An Excellence Property in Mexico.